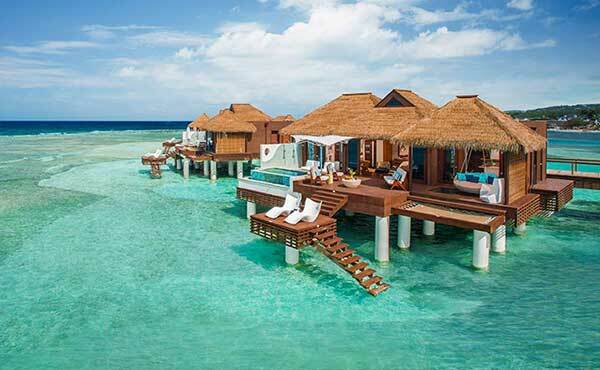 Over-Water Villas at Sandals Royal Caribbean Montego Bay, Jamaica! 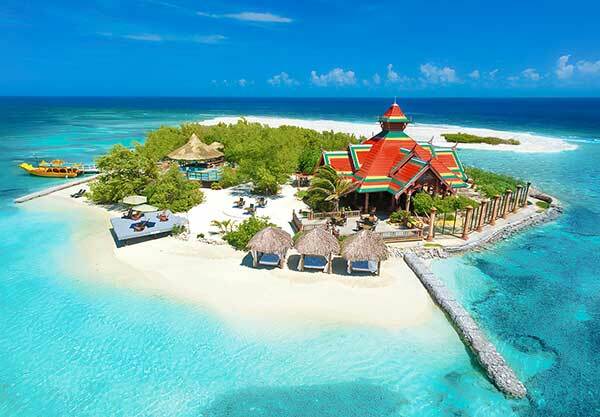 A kaleidoscope of cultures from Britain to Bali awaits you at Sandals Royal Caribbean in Montego Bay, Jamaica. The resort features a private offshore island where the mysteries of the Orient unfold in a secluded natural setting where casual poolside and beachside pleasures beckon by day, while chic parties, an authentic Thai restaurant, and island-style extravaganzas invite excitement by night. 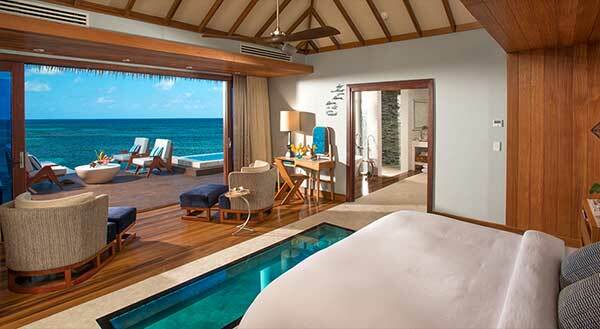 Discover the most innovative and luxurious rooms and suites at Sandals Royal Caribbean. If you are looking for something private and luxurious consider the new (and spectacular) Over-The-Water Villas. Perched on a deck floating above turquoise waters, these spectacular over-water villas feature see-through glass floors for ocean viewing, a Tranquility Soaking Tub, an over-the-water hammock for two and a private infinity pool for countless ways to enjoy the water. A water taxi to take you to and from the resort. And of course you can’t have this experience without your own personal butler to meet your every wish and command, including 24-hour room service. Butler Service, is only available at the very highest level of suites, and provides discerning guests with an unimaginably supreme standard of service and luxury. At the resort, you will enjoy unlimited fine dining at 8 gourmet restaurants showcasing diverse cuisines from around the globe. Enjoy traditional island dishes, exotic Thai, French delicacies and British pub fare. The resort’s award-winning chefs are dedicated to creating an authentic culinary experience. 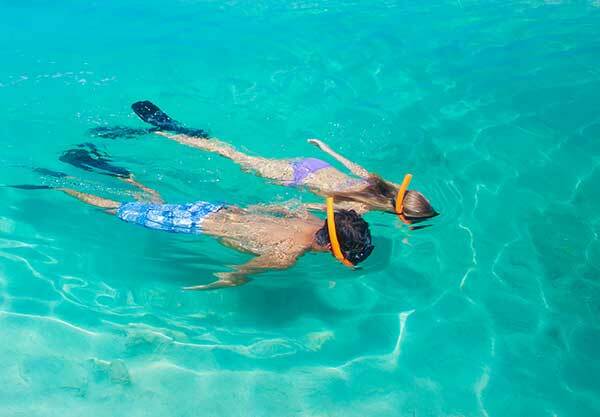 In the water or on dry land, there is always something to do at Sandals Royal Caribbean. 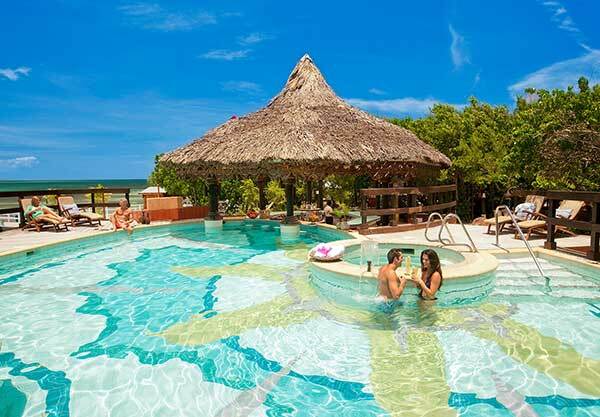 As an all-inclusive resort all activities are included in your vacation! Go ahead: swim, sail, scuba dive, snorkel…or just relax by the pool. Give yoga or Pilates a try, get in a workout at the state-of-the-art fitness center…or hit the court for a competitive game of tennis. Ready to be pampered beyond compare at an over-water villa? Be sure to give luxury travel advisor, Margi Arnold a call to discuss your luxury, all-inclusive vacation to Sandals Royal Caribbean. With over 25-years’ experience in the travel industry Margi, is an expert that will help you personalize your trip and will ensure a worry-free vacation. Start by completing a vacation request or call Margi at 888-568-4432.